We believe people deserve compensation for personal injuries. For over a decade, we have been representing the victims of automobile accidents, truck accidents, construction site accidents, motorcycle accidents, slip & falls, dangerous products and other acts of negligence. 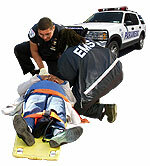 We have worked with clients who have suffered burns, paralysis, and many other serious injuries. We are experienced, credentialed and respected. We handle personal injury cases on a contingency fee basis, meaning that you don’t pay any attorney fees unless we obtain a result in your favor. The cases highlighted on this website are just a sampling of our firm's most common practice areas and should not be considered an all-inclusive list of the cases we handle. If you have been injured, losses that you are entitled to may include medical bills, lost wages and pain and suffering. Dont delay, please contact us for a free consultation regarding your particular situation.